Our program offers a unique opportunity to assist deserving low income students in the Philippines to achieve their educational goals. 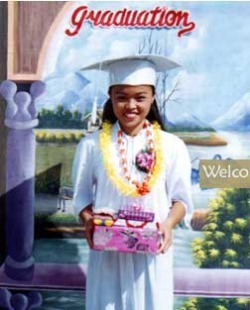 As a sponsor, you will participate in a meaningful exchange with a deserving child in the Philippines. If you want to help the people of the Philippines, and want to be certain that your money gets to needy persons, this is a good and fun method. It also guarantees that the student benefits, helping "one Scholar at a time".